Partha Susarla is a qualified civil environmental engineer with almost 30 years of experience in catchment management, water services management, water infrastructure planning, financial management and project delivery. Partha is currently the Strategic Planning Manager at Unitywater, where he is responsible for planning the organisation’s total water cycle, treatment services, regional operations and capital investment programs. 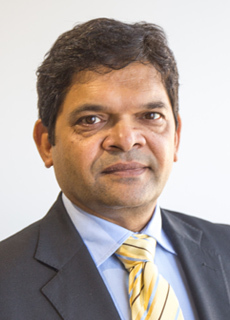 In addition to his roles at Healthy Land and Water and Unitywater, Partha is a board member of SEQ Catchments Members Association and a QLD state committee member for the Australian Water Association. Partha is passionate about ensuring Healthy Land and Water is at the cutting edge of waterway management in South East Queensland.